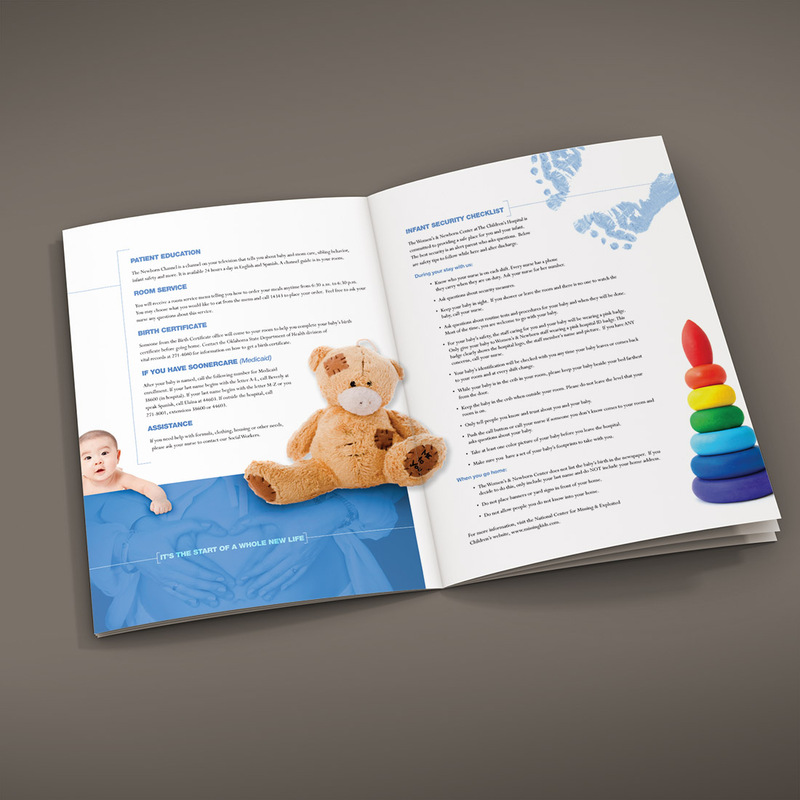 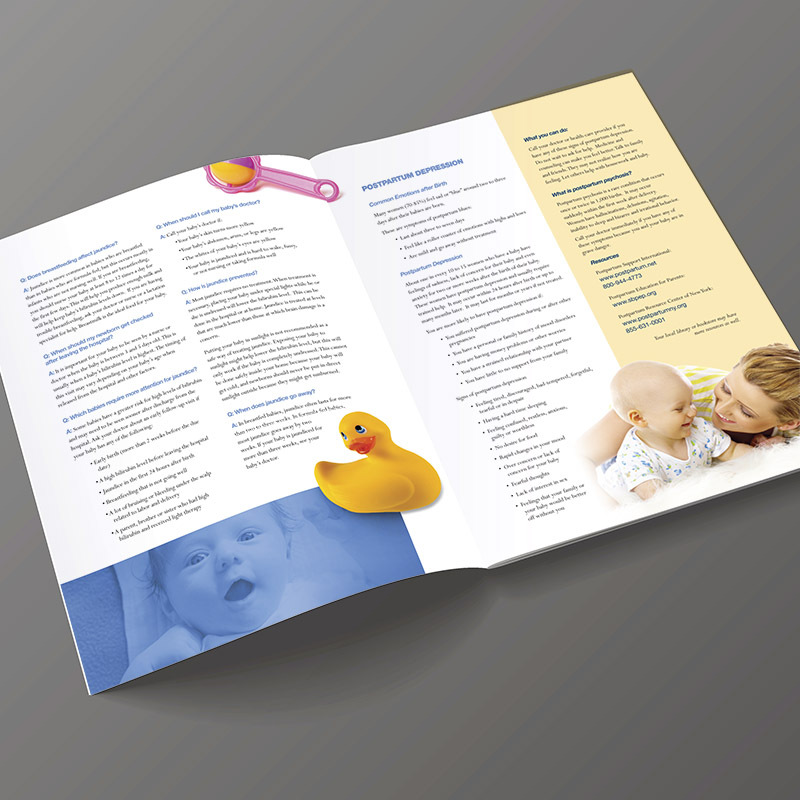 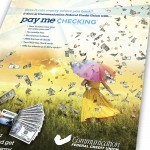 The purpose of this 24-page booklet was to provide information for the newborn parents. 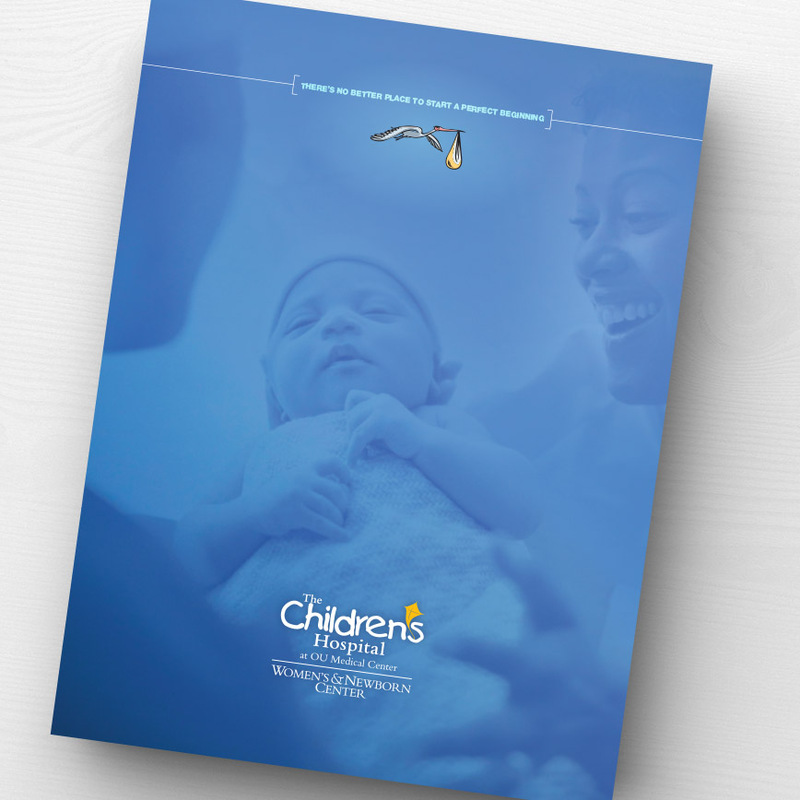 These packets are provided upon the birth of a newborn at Children’s Hospital. 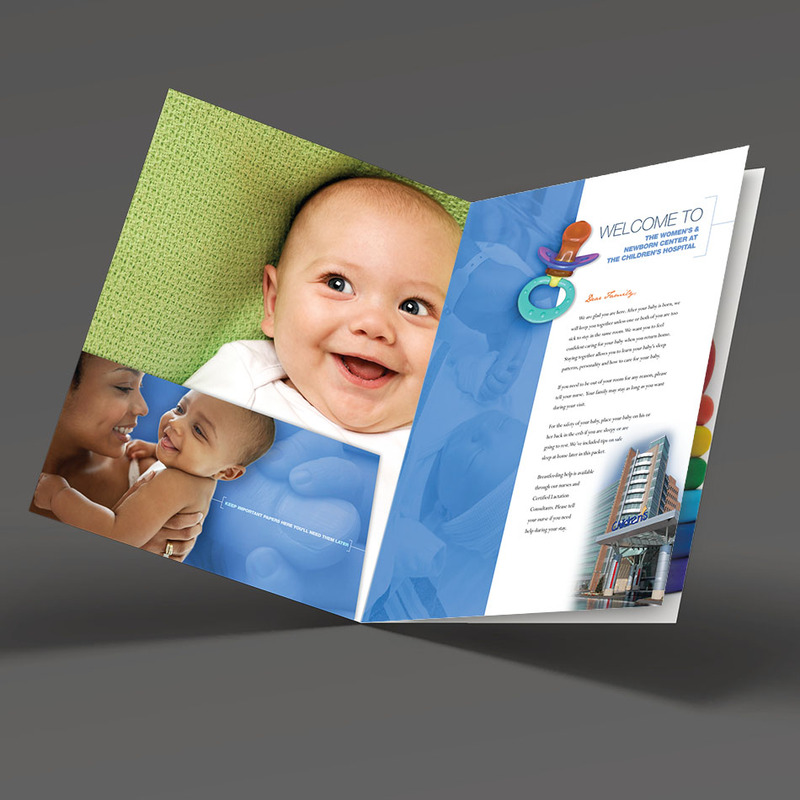 The design includes a cover containing pockets to install other documents meant to be taken home from the hospital upon being released from Children’s Center. 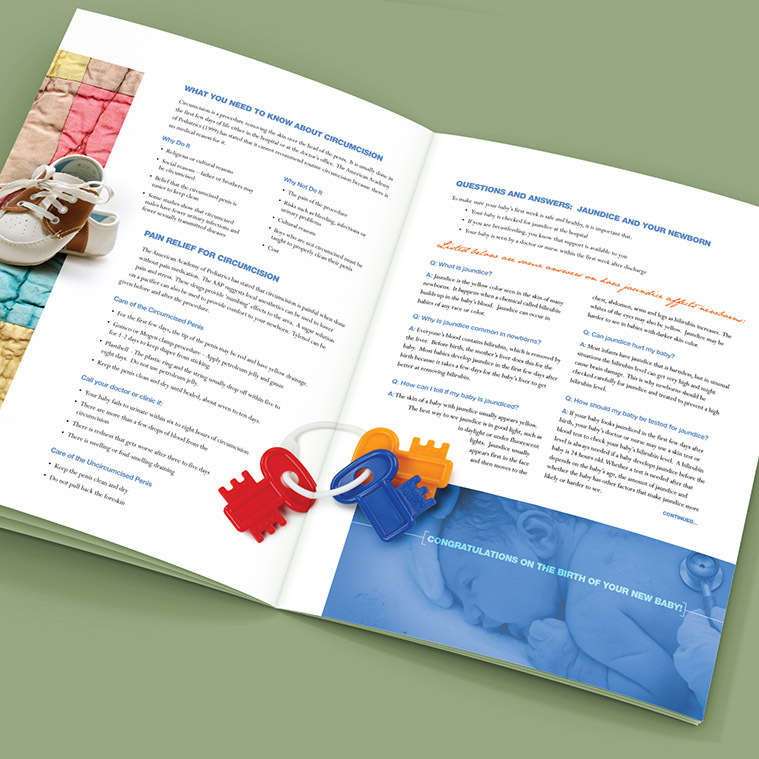 Spanish versions were also created for Spanish speaking mothers.